"A thorough analysis and discussion of the requirements to qualify for Social Security disability benefits. The author is a physician who was formerly a chief medical consultant for the Social Security Administration." "This is a wonderful resource for those applying for disability as well as their advocates, attorneys and representatives. It taught me about certain aspects of the SSA disability program that I never learned as a disability examiner, since our focus was primarily on the medical and vocational aspects of the disability determination process. "Nolo's Guide is a great companion to Getting Social Security Disability: Your 9 Step Individual Action Plan ebook. One gives you the claims examiner's 'insider' perpective, while the other gives you the medical consultant's 'insider' view. Both of these players collaborate together on your claim at the Disability Determination Services office, and are pivotal in determining the outcome of your claim. "The combination of these two books is all you will ever need, in my opinion, to learn about how to get and keep your social security disability benefits...I highly recommend both guides if you are at all serious about winning your claim!" 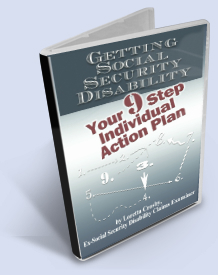 -- Loretta Crosby, Ex Disability Examiner, Editor Social-Security-Disability-ESP.com and Author, Getting Social Security Disability: Your9 Step Individual Action Plan. You can get Nolo's Guide to Social Security Disability: Getting & Keeping Your Benefits direct from the Publisher, including the bonus forms CD, or click below to get it at Amazon.